Belmond, a global collection of 46 hotels, trains and river cruises, has unveiled its new brand identity. The new campaign is titled ‘The Art of Belmond‘. Supported by a global advertising campaign celebrating the ‘Art of Savoir-Vivre’, the new campaign supports the company’s strategic plan to raise brand awareness, and strengthen its position in the luxury travel market. Created by a series of artists, ‘The Art of Belmond’ includes a film, print and digital adverts designed to inspire today’s world travellers, millennials and global citizens. Directed by Romain Chassaing, the films follow a stylish cast of global jet setters travelling from Rio to Venice, taking their time to enjoy the art of living. 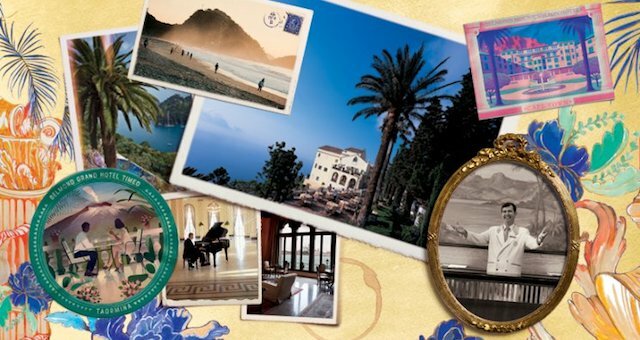 Guests will be able to build their global collection of travel stickers as they travel with Belmond. Five travel posters depict the ‘Wonderful World of Belmond’. Full of colour and graphic illustrations, this fresh look unites the Belmond products under five collections, Historic Hotels, Resorts & Nature, Cruises, Trains and Journeys. There is a travel poster for every hotel, train and cruise. Belmond has also created two new guest experiences through strategic brand partnerships. First Light with Leica Sport Optics is a new photography experience available at Belmond Hotel Cataratas, Iguassu Falls, Brazil, Belmond La Residencia, Deià, Mallorca and Belmond Mount Nelson Hotel, Cape Town, South Africa. Exceptional Music in Exceptional Locations with London Philharmonic Orchestra is a new music experience set to launch at Belmond Reid’s Palace, Madeira on 7 December 2017. The campaign is united under the hashtag #TheArtofBelmond, with the aim of driving content across social, digital and select print channels.